DoPchoice has recently launched the Lantern Snapbag® a new versatile addition to their line of quick setup, self-tightening softboxes. Aimed at photographers who prefer soft lighting, the versatile Lantern can be used with a wide range of LED fixtures as a traditional lantern lighting, China Ball, or a conventional softbox. It also holds the distinction of being the only lantern-type softbox that allows users to change the depth of the sphere to fully expand it as a usual lantern or contract it for use in tighter locations. The Lantern works as a large soft space lighting when placed overhead or on a boom from above. Its depth can be decreased when in low-ceiling setups, while its circular shape creates a nice round eye reflection. The Lantern can be quickly mounted to a variety of fixtures through DoPchoice’s hassle-free RABBIT-EARS® mounting system and easily deployed within seconds. A customized and removable Lantern Skirt can also be attached for added control to cut spillage and enhance creative light direction. Visit www.dopchoice.com/product/sbrl3 for more information about the DoPchoice Lantern Snapbag®. 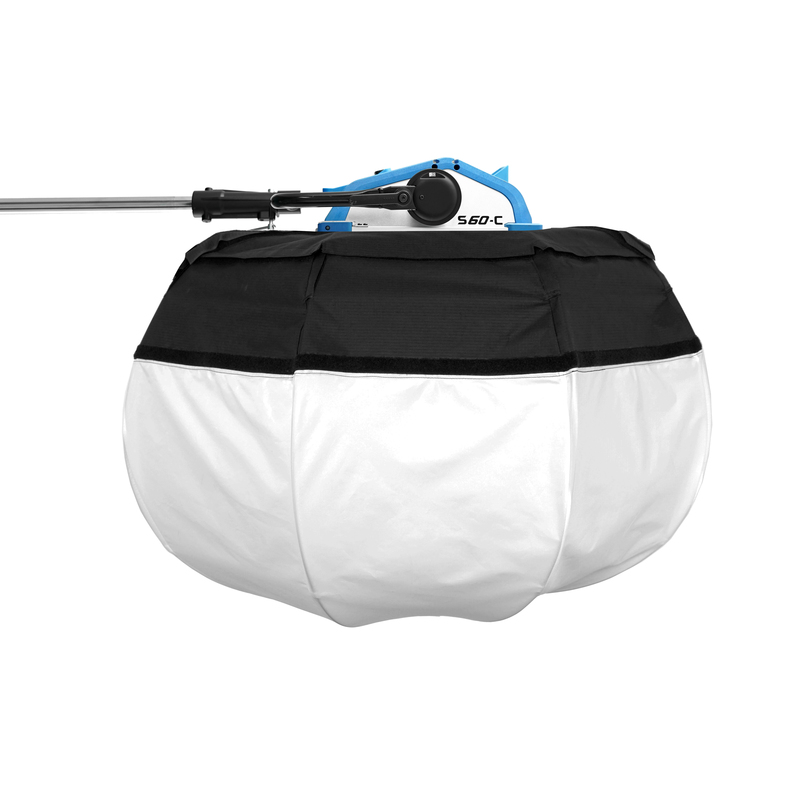 The New SnapBag Lantern will be on display at the AFC Micro Salon Show in ParisFebruary 9-10 with K5600 and Maluna Lighting, and NAB Booth C8547 with The Rag Place.